Former GWS players Devon Smith and Dylan Shiel were left with plenty to ponder on Sunday. 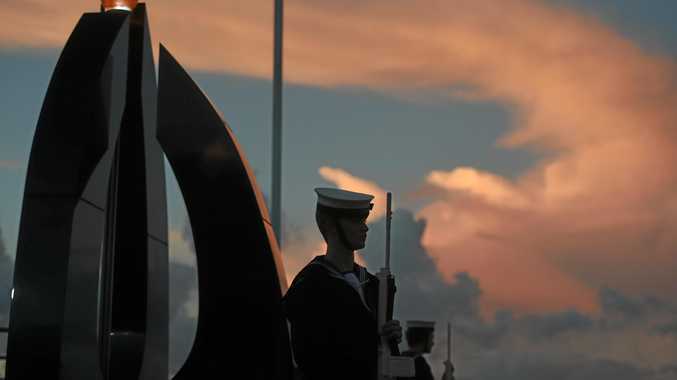 Picture: Phil Hillyard. John Worsfold coaches his 350th game this week as a man under pressure. Not to keep his job, of course. That's ridiculous. Instead, the pressure comes with the need to engineer a response, and fast. In Round 1 it's a shock. In Round 6 it's a pattern, and a highly alarming one. Things are suddenly urgent at the Bombers and St Kilda is up next. Worsfold is feeling the pressure because his team didn't apply any in a head-turning season-opening surrender to GWS. The Bombers produced a pressure rating of 172 against the Giants - the lowest of the round. Their forward half pressure (164) was the second-lowest. 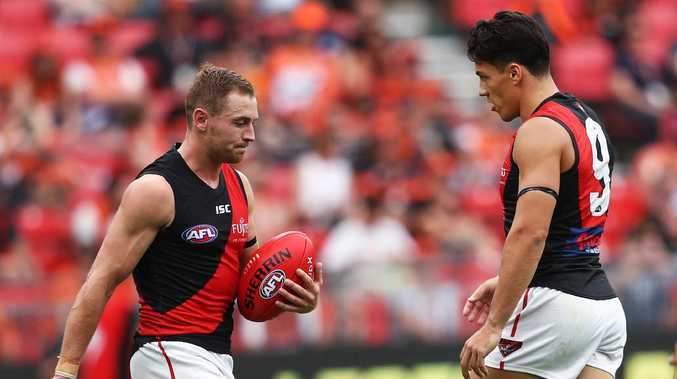 When Essendon turned their season around after 8 last year, it did so partly because it had an average pressure rating of 185 per week - the third-highest in the competition. Essendon could not match GWS Giants’ desperation during their Round 1 clash. Picture: Mark Metcalfe/AFL Photos/Getty Images. On Sunday, the orange tsunami may have been rolling, but the Dons barely laid a sandbag. 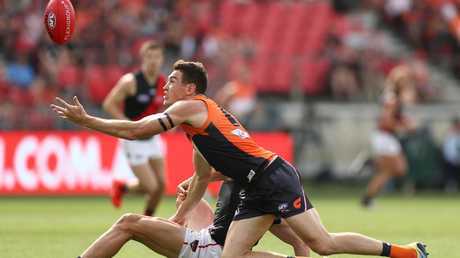 The Giants went inside 50m from 36 per cent of their defensive 50m intercepts - the highest percentage of Round 1. The AFL average is 21 per cent. The Dons were just too easy to move the ball against. That's a mindset issue. A slightly concerning one, too, given all the excitement and anticipation of a season-opener. You'd think that would be the last facet of the game to go south. 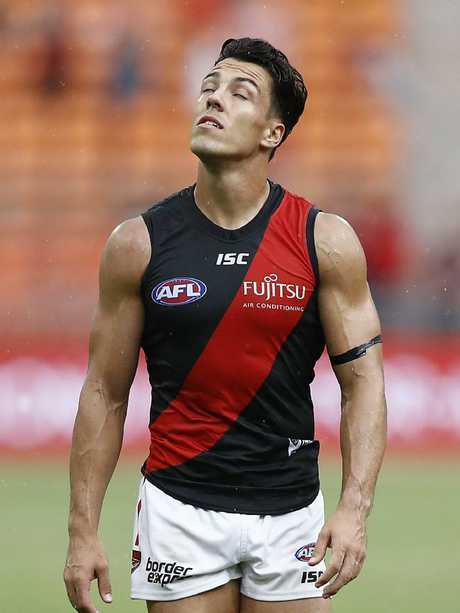 A dejected Dylan Shiel takes stock after Essendon’s heavy Round 1 loss. Picture: Ryan Pierse/Getty Images. Regardless, new Bombers defensive coach Ben Rutten, poached from Richmond, might still have had a headache on Monday morning. "It takes a bit to digest what's just happened," captain Dyson Heppell said. "Just having a look at a bit of the game on the plane on the way home and there were a few efforts there where you go, 'That's just not us'." If defence was an issue, contested ball was a disaster. Essendon was poleaxed 156-116. The -40 differential was the worst in John Worsfold's reign as Bombers coach and the sixth-worst ever recorded at Essendon since the stat started being recorded 20 years ago - a period of more than 400 games. 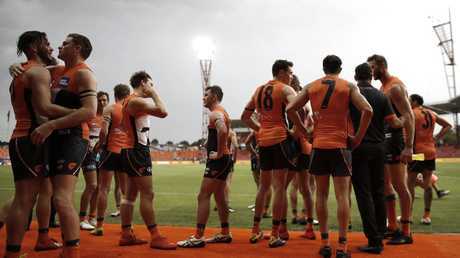 Giants players gather to celebrate their thumping win over Essendon. Picture: Ryan Pierse/Getty Images. "That's far from what we're all about. It didn't show up the way we would've liked and we've got to look at that closely," Heppell said. "We can't just sweep that under the rug. It's going to take a little bit to move on from that. You've got to have a close look at where we did fall apart. "But you don't learn unless you go through adversity and we've copped that round one early in the season, and we've really got to learn from this. I know we'll bounce back." It was a good weekend for the Giants. The Dylan Shiel trade to Essendon got them, in part, the Dons' 2019 first round pick. After Sunday's shellacking, the Bombers sit 18th and GWS is on top with the No. 1 pick - for this week at least. 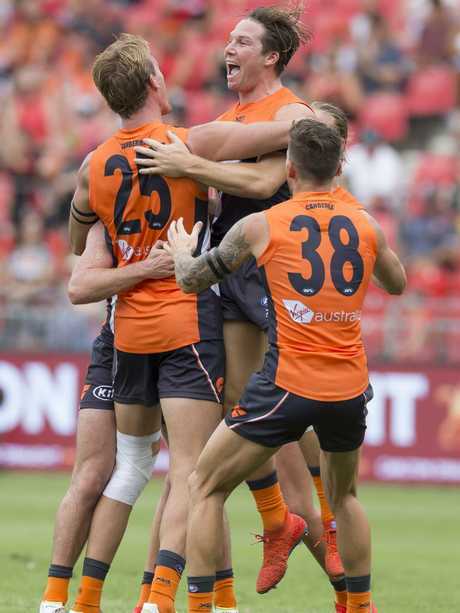 GWS players celebrate a Lachlan Keeffe goal during their resounding win over Essendon. Picture: Craig Golding.